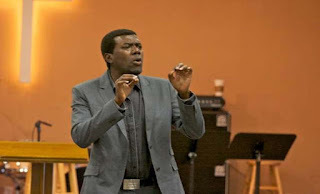 Reno Omokri, former Presidential aide, has accused ex-United States president, Barack Obama of being responsible for the alleged ongoing slave trade in Libya. Omokri also alleged that Obama staged the removal of former Libyan President, Muammar Gaddafi from power. The former Special Adviser on New Media to Jonathan said before Obama staged Gaddafi’s removal, the late Libyan ruler was sympathetic to the plight of Africans. In a post on his Facebook page, the US-based cleric noted that slave trade started after Gaddafi was ousted, adding that the late president wouldn’t have allowed such action. The post reads, “When Gaddafi was in power, there was no slave trade of Black Africans in Libya. As a matter of fact, Gaddafi gave financial aid to Black African nations and almost single handedly funded the fight against White minority rule in the then Rhodesia (renamed Zimbabwe) and against apartheid in South Africa (Google it. Even Mandela said so openly in America).